With our new office on 100 South 9th Street, the Evergreen Personal Injury Counsel team has found ourselves at home here in the downtown Tacoma community. Each EPIC attorney had the opportunity to decorate their office to best represent their unique personal brand. 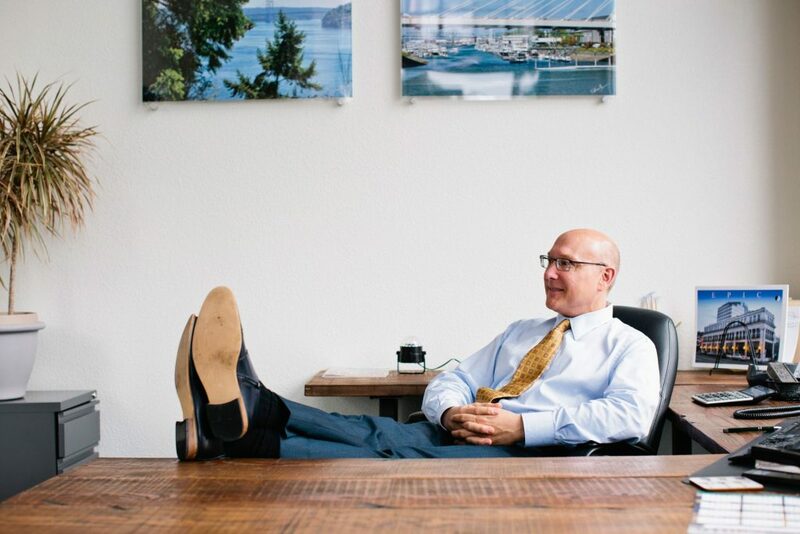 Attorney John Christensen is our office’s Renaissance Man. While he practices law as a personal injury attorney by day, John enjoys a variety of hobbies and interests outside of work. He feels just as comfortable in a tailored suit and tie as he does when he dons a traditional Taekwondo uniform, also known as a dobok. Fun fact: John is a black belt in Taekwondo and competes in full contact Olympic sparring on both the State and National levels. Among the Bowes Building’s illustrious past lives, the space was once a martini bar and lounge. 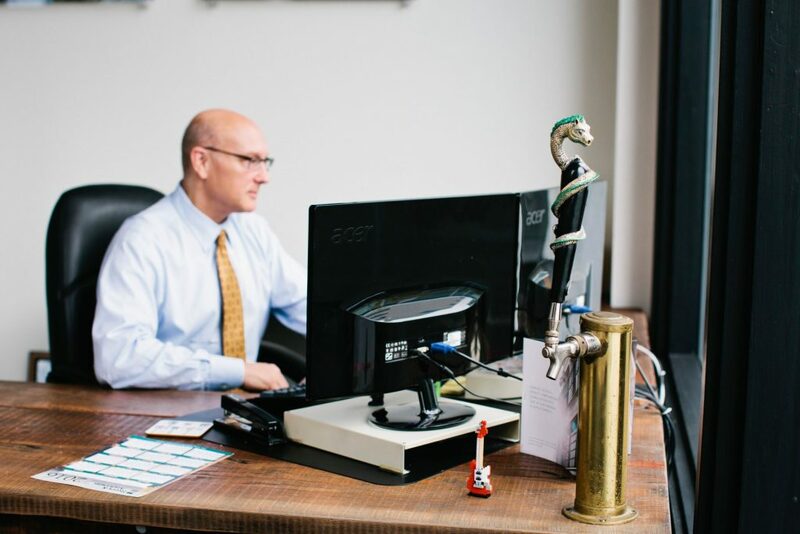 John salvaged the beer tap from the bar to decorate his desk. As a big fan of The Lord of the Rings and Hobbit series, John purchased the mythical dragon tap handle as an ode to J.R.R. Tolkien. “It’s my tribute to the Smaug,” John says. 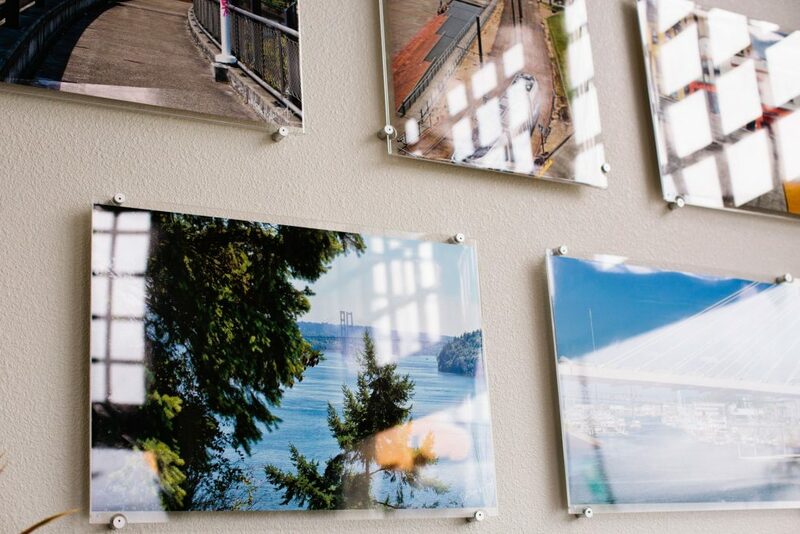 A collage of scenic Tacoma landmarks framed in modern acrylic adorn his walls, including the East 21st Street Suspension Bridge and Union Passenger Station (he got married there!). John began collecting guitars nearly 20 years ago. 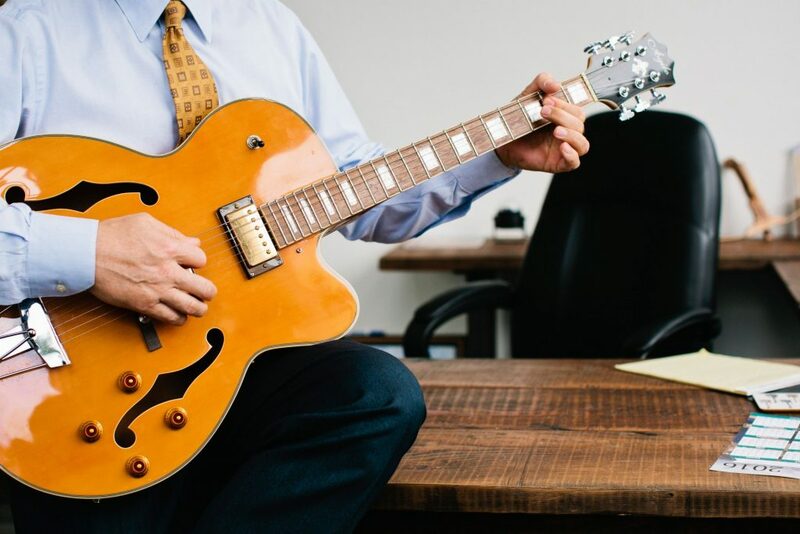 While his considerable collection of early Fender and Gibson guitars remain in a special place at his home, John keeps a bright orange iconic Gibson copy at his office for when inspiration strikes. With a lifelong passion for music, John plays the guitar on a daily basis. He finds that making music, or even simply strumming a tune, can help him clear his mind and feel relaxed. Through our relocation to downtown Tacoma, EPIC is immersed in the vibrancy of the city. With his corner office in the historic Bowes Building, John has a front row seat to the action. “The best part of the Bowes Building is being right in the middle of the downtown scene….the people, restaurants and vibe are all great experiences,” John says.